Take pigeon peas on a paper plate & microwave on high power for 30 seconds. Add coriander seeds, black pepper, cumin seeds and mustard seeds. Mix all the seeds with a spoon and microwave on high power for 30 seconds. Stir again with a spoon and microwave on high power for 30 seconds. Cool the roasted ingredients for a while and finely powder them in a mixer grinder. Store the charu podi in an airtight jar. Wash and clean tomatoes. Chop one tomato into small pieces and place them in a microwave safe bowl. Microwave the chopped tomato on high power for one minute stirring once after 30 seconds. Cut the remaining 2 tomatoes into big pieces and keep aside. Wash drumsticks and cut them into finger length pieces. Take the cut drumstick pieces into a microwave safe bowl and add some water. Microwave the drumsticks on high power for one minute, stir once and again microwave on high power for one more minute. After one minute standing time remove the drumstick bowl from oven. Take tamarind into a microwave safe bowl, add some water and soak for some time. Microwave tamarind for 30 seconds, cool it and grind it to a fine paste. Break red chilies into pieces and keep them aside. Take 600ml water in a bowl and heat it. Add sugar, salt, turmeric powder and tomato pieces to the water and let it boil. When the tomato pieces are three-fourths done, add the cooked tomato and tamarind paste. Stir with a spoon and add cooked drumsticks. Let the charu boil for a while and add charupodi and mix. As soon as we add the charupodi the charu at once boils. Season the charu. For seasoning heat a pan and add ghee to it. When ghee is hot add fenugreek seeds, mustard seeds and cumin seeds. Fry till the seeds splutter and add red chili pieces, curry leaves and asafoetida. Add this seasoning to the charu and immediately cover the vessel. After few minutes transfer charu to a serving bowl and garnish with chopped coriander leaves. Serve hot with plain rice and muddapappu. In this recipe we are cooking one tomato till soft so that the sourness gets mixed with the charu. We are adding the remaining tomatoes to the charu by cutting them into big pieces. Some like to see, feel and eat pieces of tomatoes. Those who are interested can mash these tomatoes while eating to get extra sourness. Tomatoes are rich in vitamin C & Vitamin A and drumsticks have Multi-Vitamins and are known for controlling mal-nutrition among poor children. When we add these vegetables to the charu that flavor is something special which cannot be described in words but can be felt by smelling it. After adding charupodi to the charu observe the water comes to boil as soon as the charupodi gets mixed with water. So use a deep vessel while preparing this charu to avoid spillage of charu after adding charupodi. Seasoning the charu with ghee fills the space with a nice aroma. Charu is a good appetizer. When a person is suffering from cold, sore throat or fever Charu is the right food to be served which gives relief to the patient. It is light on stomach and taste buds enjoy the sour taste of Charu. I have tried many of your recipies...like potals fry,mukkala pulusu,dondakaaya ullipaya koora,dondakaya fry,gunta pongadalu,vepudu karam,cauliflower fry...etc. All came out very well. Thank You Very Much for hosting this wonderful website. Thanks Ton for the needful in advance. I don't prepare exclusive curries with drumsticks. I use them in charu, sambar and Majjigapulusu recipes as a component. love watching all your videos. i did try out your rasam recipe turned out great. thank you so much for posting such great recipes. is really great,naku cooking ante istam undadu but after seeing your site really i inspired to cook daily one new dish .naku nijanga mee site baga nachindi andi.inka oka telugu vari dishes kakunda miku telisna some other states punjabi,gujarati,etc..kuda post cheyandi,avi cheyadaniki easy ga tinadaniki tasty ga undela unte baguntundi.naku mi rasam chala baga ncahindi. This is lahari. Firstly WISH YOU A VERY HAPPY AND PROSPEROUS NEW YEAR. Today i watched the Charu. it's nice. Tomato mash chesi veyamani chepparukada ala cheste chala tasty ga vachindi rasam. in ur free time can u plz post Sambar recipe also. 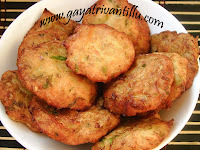 one more thing was that i am waiting for the Double ka meeta recipe which i requested previously. ok have a nice day. Your doing a great service. Hi, I am Murali Annayya.....today we searched for Kandi Sunni( Kandi Podi) recipe. 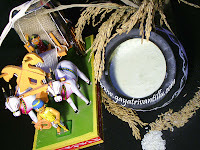 Can you add Podulu like Nuvvula Podi and other Podi recipies in your site. Meeru recipe write up lo menthulu include cheyyaledu.Mee charu podi mathram adirindi! In "CHARU", it is better to use "Jaggary(Bellam)" in stead of Sugar.